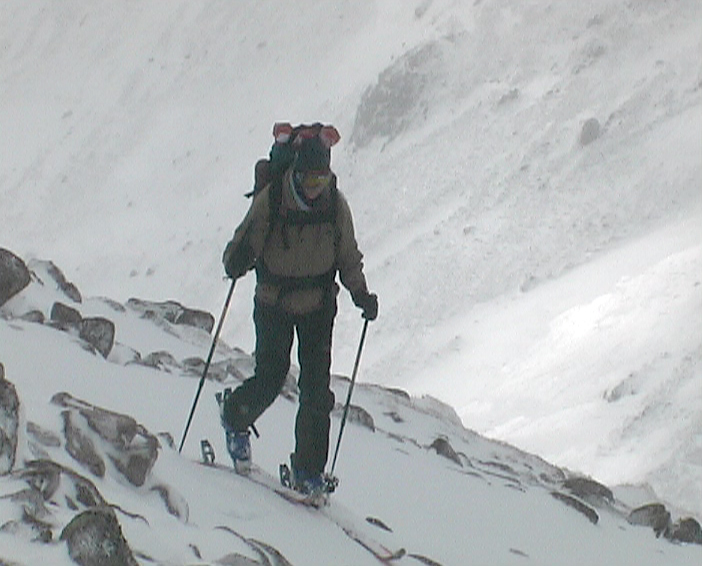 Scotland offers you several areas for ski touring. For example in the Southern Highlands you can ski down the West Drumochter Hills, Geal Charn, Monadlaith 2, Ben Chonzie, Ben Hearsgarnich or the North Glen Lyon Hills. 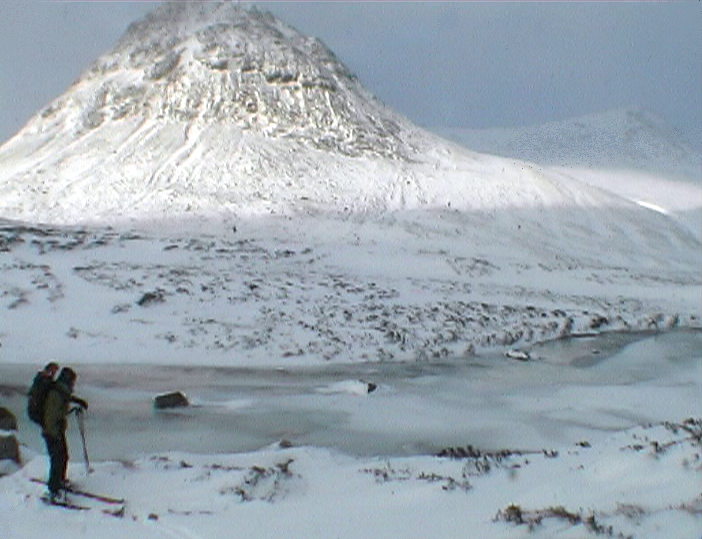 The northern highlands are quit remote but do offer some possibilities as well. 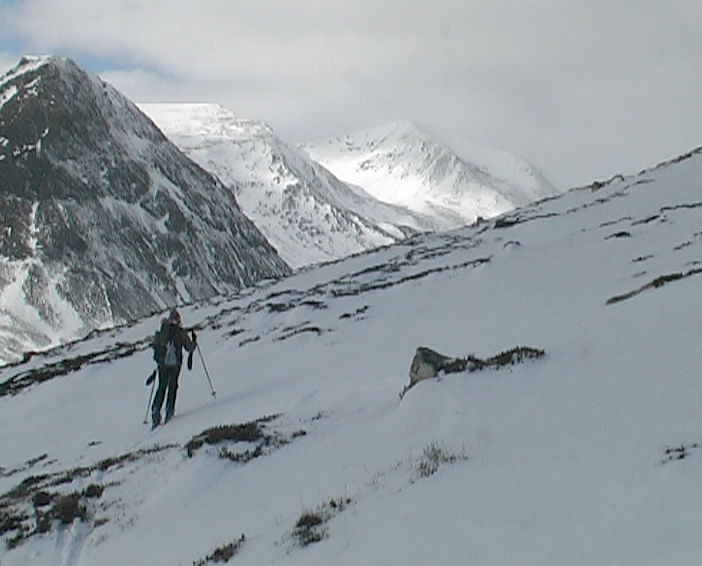 The West Highlands are generally to steep and rocky for good ski touring. 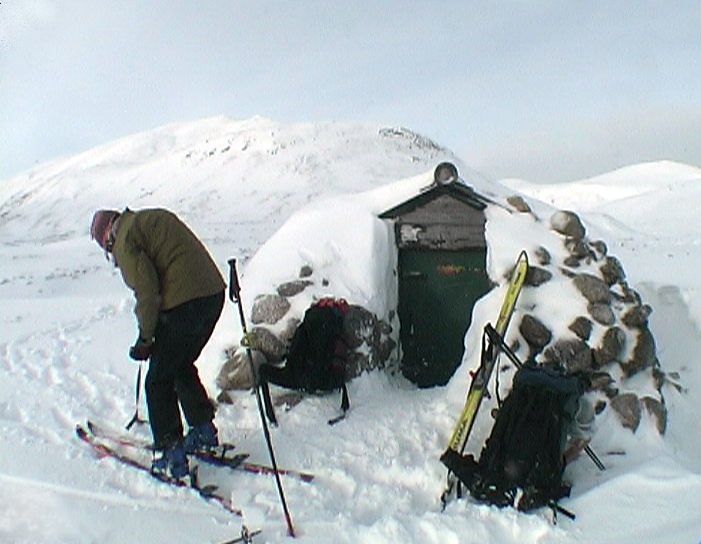 The two ski resorts of Glen Coe and nevis Range provide interesting piste skiing but the scope for ski touring is more limited (the Aonach Mor and Beag are good options). 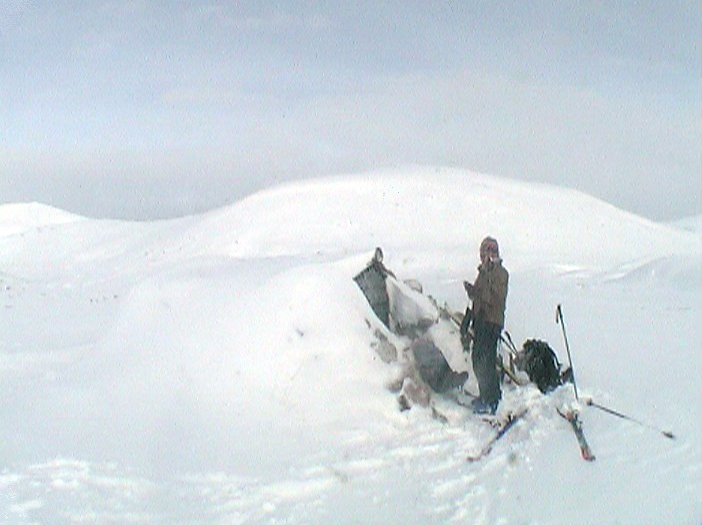 The central highlands are generally easily accessible making some of the rounded hills popular with ski tourers. Whilst not gaining the height of the Cairngorms they can provide interesting days with pleasurable descents from over 900m to valley level. Snow holding in the center of the country is much better than the on hills on the western seaboard. 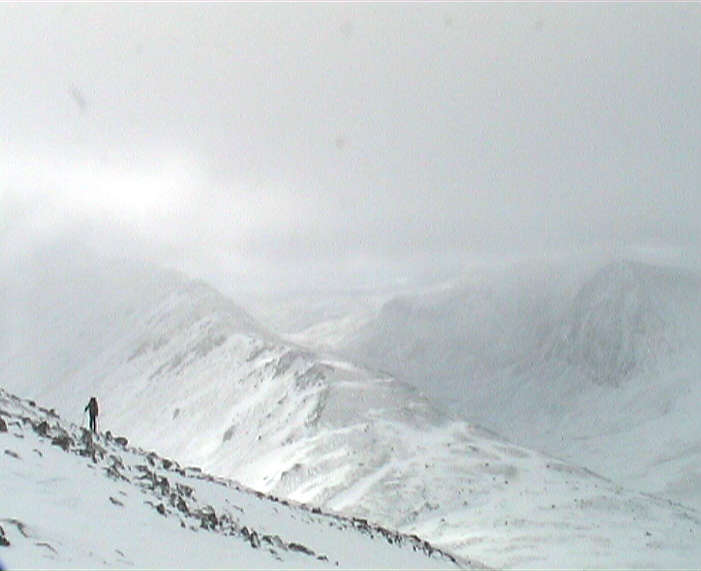 The Cairngorms, including Lecht and Glenshee, do offer the best possibilities. The reason for the popularity is rounded nature of the hills and the expansive plateau which make ski touring a pleasure. The height of the main Cairngorm area gives a prolonged season and spring tours over the main tops are an annual occurrence. The weather condition are generally not very ideal. 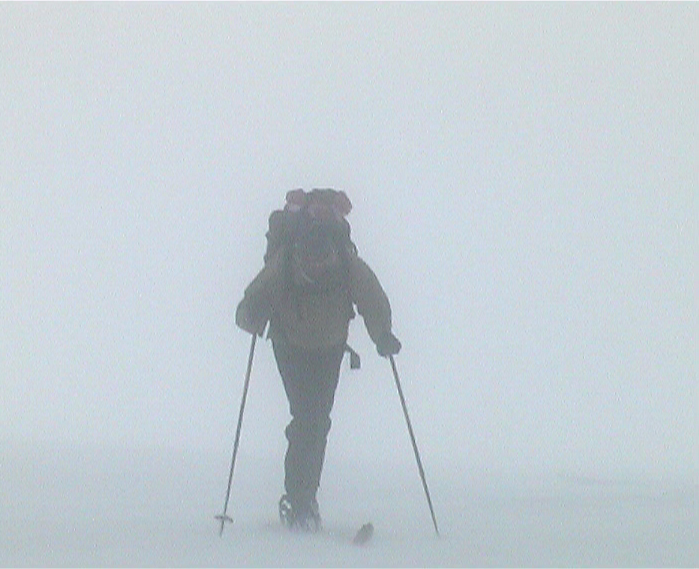 Above 600m poor visibility is common. Navigation becomes extremely difficult. At lower levels skiing in the rain may have to be tolerated. Occasionally there are conditions of calm, brilliant clarity and warm sunshine. The occurrence of these days ensures that you can tolerate the less favourable days during your tour. 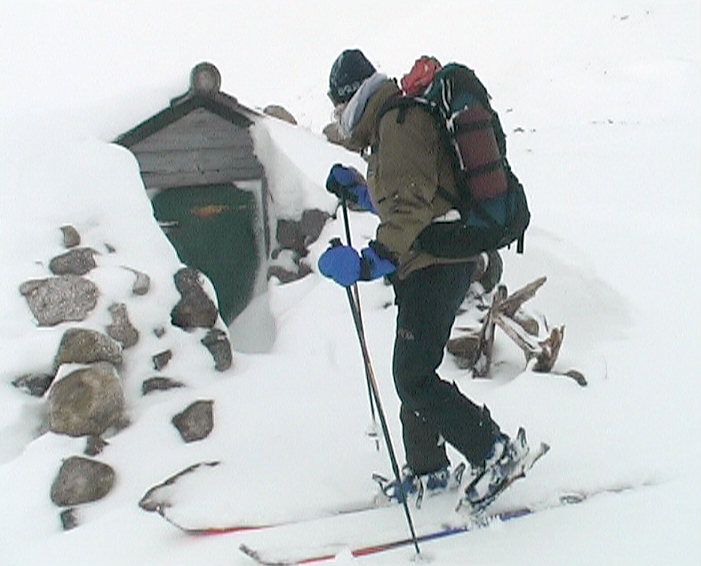 Deep powder is rare in Scotland. Expect a mix of ice, wind slab and rock. Usually the snow has been molested by the wind and then tortured by the freeze thaw action of temperatures fluctuating around 0°. Redistribution by the wind means wind slab is common. This can load a slope so that it becomes avalanche prone! Total ground cover is not always present, a mix of walking and skiing may be required. Route planning needs to allow time for these inconveniences. 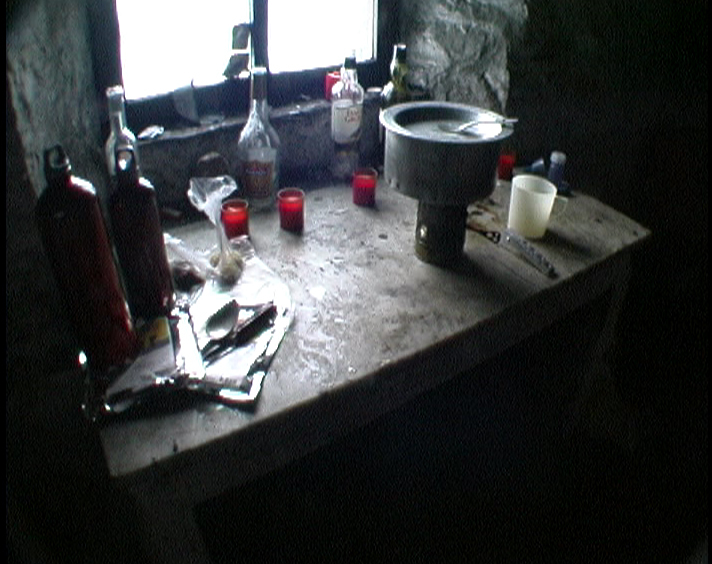 You can stay overnight in a bothy (hut). 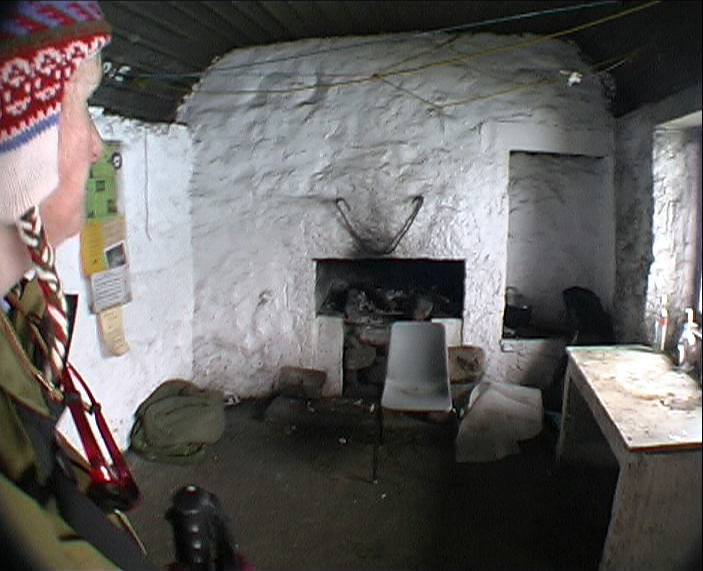 Bothies are reasonably wind and watertight and have somewhere dry to sleep. The usual place to sleep is on a wooden- or concrete floor. So come prepared with at least a sleeping-bag and a sleeping mat and a polythene sheet to lay down first. Blankets and mattresses are rarely if ever provided. You will need to carry fuel in. You will need also candles or a paraffin lamp for your light and a stove to cook on. 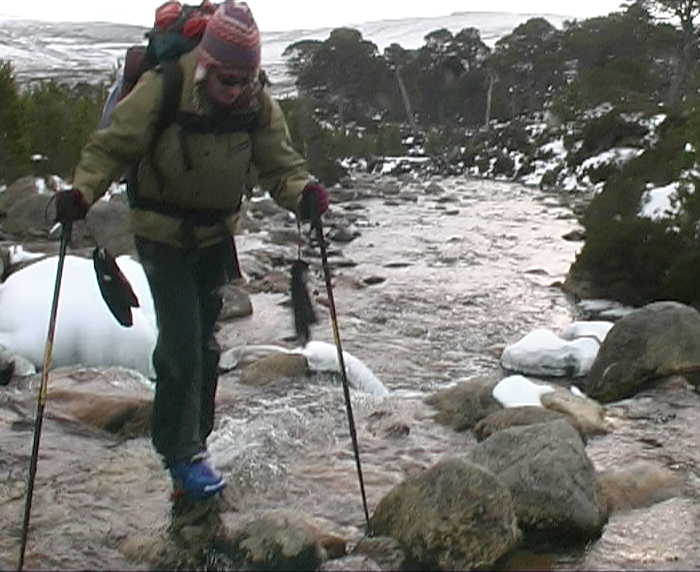 In this tour you will cross the Cairngorm, see the map below, and clime the most interesting peaks of this area. The tour takes 5 days with the possibility to skip one day. When everything works out well, this tour is very rewarding. We started this tour on Sunday the 27th of February 2005. 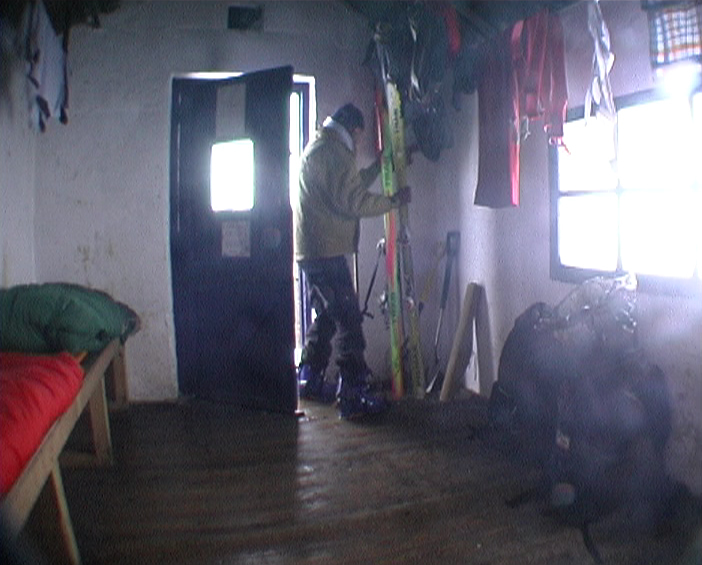 In our experience, this is not a tour for the novice backcountry skier. 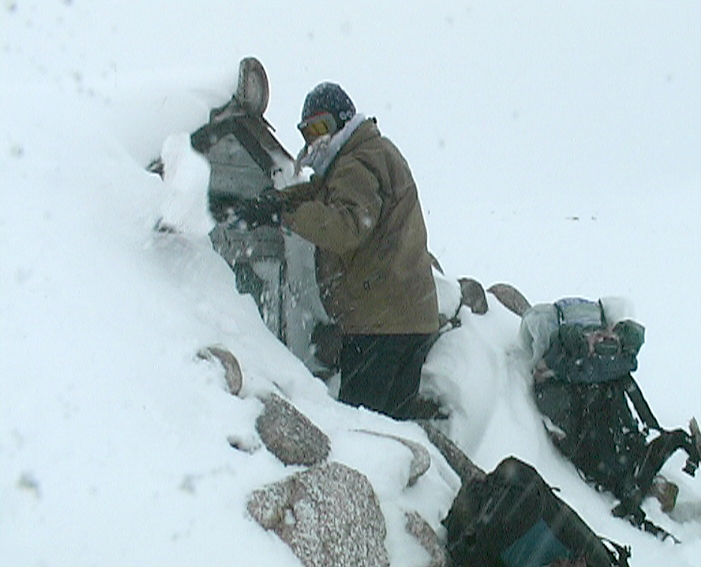 See also the BBC News item about two experienced climbers missing in whiteout conditions in the Cairngorms while taking part in an international mountaineering gathering. A travel report of this tour has been published in the club magazine of the NKBV (Dutch mountaineering organisation). Open the pdf file: to read this article (Dutch). 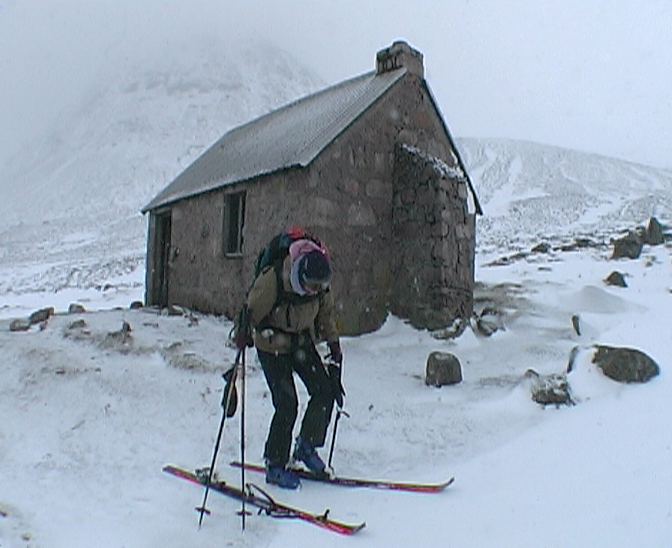 The lodges and bothies mentioned below can be visited in this tour. The Tour Plan gives you several alternatives. 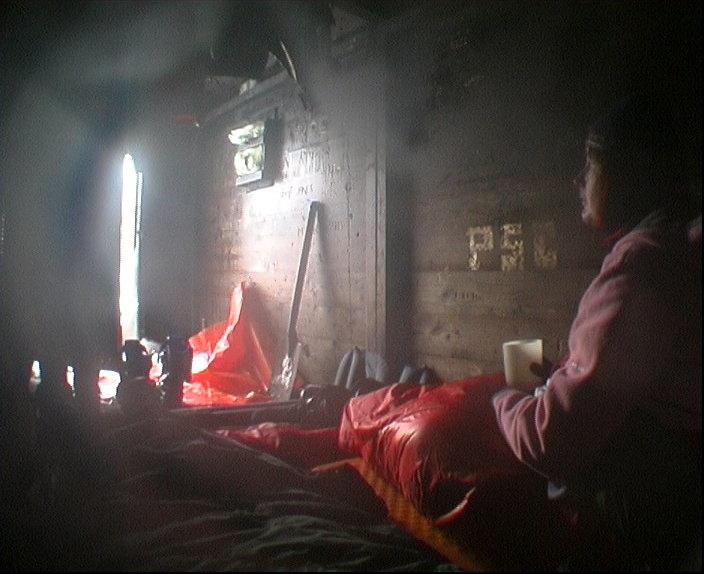 After some nights in a bothy you might long to a more luxurious accommodation. In that case, Minmore House is a superb place to recover from a rough and demanding tour. It is situated in the heart of Scotland’s Malt Whisky Trail, not far from this tour. Being there is a good excuse to visit one of the distilleries as well! 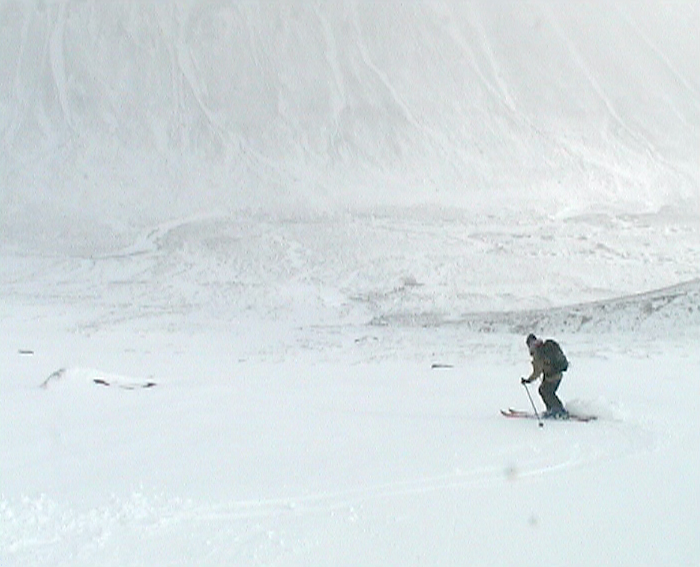 The ski-lifts of the Cairngorm ski area can bring you to the top of the Cairn Gorm. From there you can pick up the route for the last day. This might be a interesting option in case you had to break up your tour.